Many people don’t eat enough vegetables every day. Between hectic schedules and rushed mealtimes, eating vegetables sometimes just don’t fit into the equation. To encourage you to consume more veggies, Jumia Food shares some benefits. Vegetables are high in fibre, which means your digestive system will work more efficiently and regularly when your vegetable intake increases. But have it in mind that as your fibre intake increases, your water intake will also have to increase to make sure your body doesn’t become constipated. 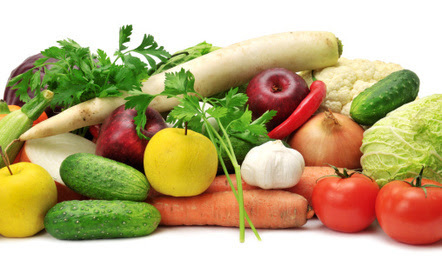 Eating more veggies combined with fruits per day can reduce the risk of heart attack, stroke, cancer, and early death. Women trying to get pregnant or who are in their first trimester of pregnancy need to consume a good amount of vegetable, which can be found in legumes, avocados, green veggies like spinach, broccoli, and asparagus, as well as citrus fruits and juices. Eating these veggies will enable you to give birth to a healthy baby. Eating more vegetables can enhance your skin’s appearance. The vitamin C and high water content of vegetables hydrate the skin and reduce wrinkles. So, rather than investing in skin creams and treatments, you should just eat veggies. Sweet potato, carrots, spinach, lettuce, tomato, and watermelon are all packed with Vitamin A. Vitamin A keeps eyes and skin healthy and can protect your body from infections. Also, eating veggies packed with Vitamin C (guava, green peppers and orange) help your body to heal wounds and maintain gum health.